When Andres Nocioni arrived in Madrid in the summer of 2014, he promised to lead the club to Euroleague glory. It was not as though the team was that far from success, they had lost in their last two finals, but they clearly needed something else to push them over the line. Everyone knew that the Final Four was being held in Madrid in 2015, which would provide an added impetus to the team’s performance over the campaign, but there were still fears that the side from the Spanish side would fall short once again. 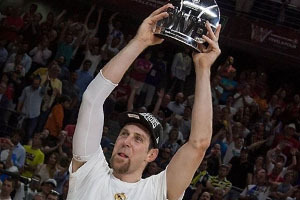 Thanks to the performance of Nocioni and his team-mates, Los Blancos are finally celebrating once again in the Euroleague and the performances of the player over the weekend have been noted. 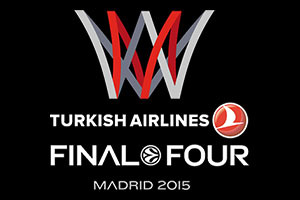 This can be seen in the fact that the accredited media have voted Nocioni the Bwin MVP of the Final Four. The player had two strong performances in both games, and was a worthy winner. The fact that Nocioni started both games on the bench was no barrier to his play and in both games; he managed to deliver 12 points from the bench. This total of 24 points for the weekend saw him tie at the top of the score board for the team, but he also topped the rebound score board for Madrid with a total of 13 rebounds. There was also the fact that Nocioni was the only player who managed to block a shot during the two games, blocking three shots in total! With respect to the Performance Index Rating, Nocioni clocked up a rating of 18, which was the highest rating of any player on the court during the final. Another factor that helped Nocioni was the timing of his important plays. There is a lot to be said for making a big impact in basketball, and when your team needs you, the big players step up. Nocioni grabbed a three point shot with just 3:45 remaining was the catalyst for a 9-0 scoring run, a run which was maintained with a fantastic block on Kostas Sloukas. Nocioni made his way back to the bench not long after this incident and he received a standing ovation, which was very much deserved for his efforts. Clearly basketball is a team game and every player needs to play a part in winning games and big events, but there is a lot to be said for the players that stand out from the crowd at the major events. The Euroleague Final Four MVP award is a pretty big accolade and it is something that Nocioni will look back on with great pride for many years to come. Real Madrid will be able to enjoy a tremendous summer this year, but before too long, it all begins again and the quest for another Euroleague title begins again. You can rest assured that Real Madrid will not want to wait 20 years before they taste European success again.